Has Your Sign Changed? Absolutely NOT! I received a note from a client today asking me what I thought of the claim by the Minnesota Planetarium Society. The claim states the Moon’s gravitational pull on Earth has slowly changed alignment of the constellations over the centuries. The “news” is that most people’s signs are not what they think! However, this is simply not news to a well-trained astrologer. The problem here is that your average astronomer thinks that a constellation is the same thing as a sign. 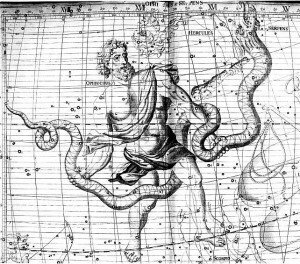 About every 10 years this “revelation” scuttles about the airwaves coupled with the disclosure that the constellation Ophiuchus is the 13th sign. Astrologers are well aware of the science of precession (or “wobble” as these contemporary articles refer to it). What many Western astrologers build on is the Hellenistic or Greek model of astrology. The Greeks liked order, their architecture is proof of that. They took the concept of the zodiacal wheel and divided it into 12 equal slices of 30° each. The “sign” and the “constellation” are different things in astrology terminology. We are well aware that the constellations in the sky do not fit the same geometry as equal slices of a 360° perfect wheel. Astrologers work with a sacred geometric model and use the mythology of the constellations to fuel our language. We recognize that it probably would have been better if the ancient Greeks named those 12 pie slices something other than after the constellations in the sky. But they knew what they were doing and assumed everyone else would too. 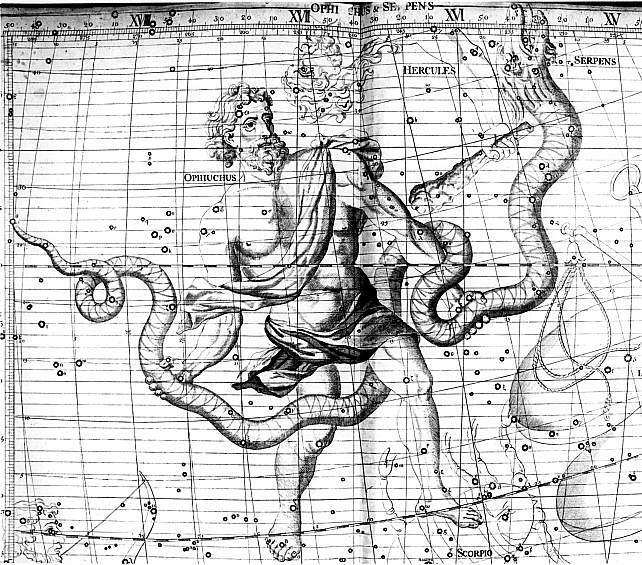 There are astrologers who research Ophiuchus and there are astrologers (especially Vedic) who work with the precession-position constellations. But the Greek model is crafted in a specific form in relation to the Earth and it has worked for thousands of years. So from my perspective, it changes nothing at all about your sign or horoscope. All the data about the geometry of astrological positioning is readily available for any astronomer who would care to research it.